Did you ever notice how much Eric Clapton looks like Hugh Laurie from House MD? Before you claim that all Englishmen look alike, I'd first like to point out that it isn't because they both have lupus, but it might be because they share many similar visual traits. Two arms, two legs, two eyes, and scruffy facial hair. In a similar vein, I find that most cars from the 1930s look the same to me, but that might actually be the lupus. 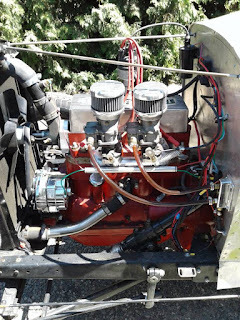 Anyway, this next 1930 Ford might look like the others, until you open the hood and find neither an original rusty boat achor or a soon-to-rust Chevy 350 boat anchor. Find this 1930 Ford Model A offered for $11,500 in Chico, CA via craigslist. Tip from Terry B. The seller claims this is a "well done amateur built, hand formed aluminum bodied Model A Ford Speedster project" which makes me wonder how much of what I'm looking at was actually in this form way back in 1930. Anyway, the engine is allegedly a Jern Thunderbolt conversion of some kind that takes the original flathead 4-banger and turns it into an overhead cam beast with crossflow heads and probably less horsepower than a Toyota Prius. Cool stuff!! 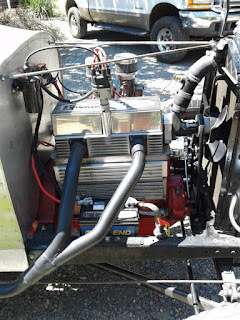 The thunderbolt conversion put a Chevrolet OHV head on a ford block so it's not OHC. 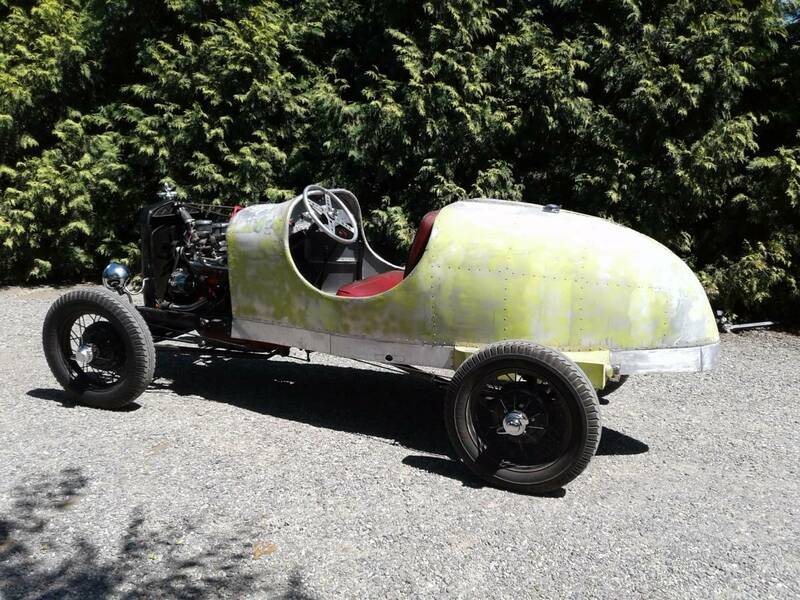 Looks like that might be the epitome of "More fun to drive a slow car fast than a fast car slow." With no windshield and a crude chassis, that thing is going to feel like it's really moving and barely under control at 40 mph.